A favourable summer, experiencing warm and even temperatures was preceded by much welcomed rains, which nourished the Henschke vineyards early in the growing season. The vines were highly stimulated by the superb conditions of vintage 192, unfettered by climactic setbacks, Shiraz ripened beautifully, the batches of fruit came in on time and in remarkable shape. 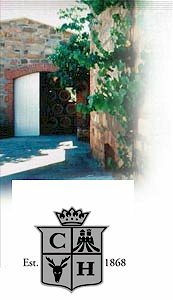 Henschke remain dedicated to the sustainable management of the grand old vines, applying regimens of viticulture which would have been familiar to forebears, a century and a half ago. Australia's oldest vineyards, dating back to the painstaking efforts of early pioneers and Lutheran settlers, carry an aura of wonder about them, the gnarled and free form shapes of the wizzened old vines are rarely seen in other plant species of such age. For wine industry pilgrims, visting for a tour of duty from destinations afar and round the globe, Hill of Grace is a viticultural mecca. Industry savant Hugh Johnson made reference to the pre phylloxera vines, grown to ancient rootstock, which deliver harvests of the most precious fruit to be found anywhere in the new world.